All Things Baked is a new baking kit delivery service along the lines of Hello Fresh and Gousto, offering recipes and ingredients to help you develop your baking skills. If you are inspired by GBBO, and would like to start baking at home, then this could be your first lesson. They kindly sent me The Cake Box, their best seller, to try out. 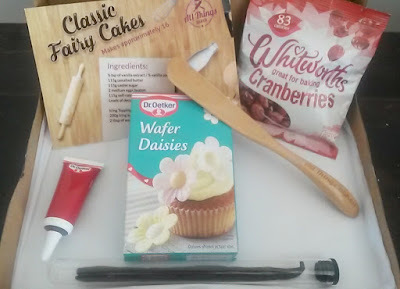 It contained a simple cupcake recipe, some vanilla pods, food colouring, Dr Oetker wafer daisies and some dried cranberries for decoration. 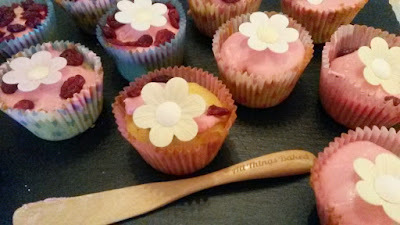 Each month, if you subscribe, you will receive a baking tool and in my kit I got a lovely wooden spatula. 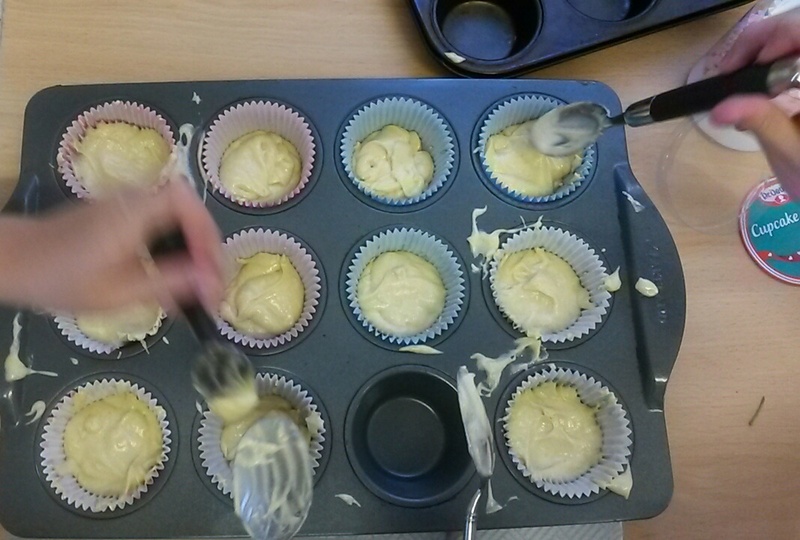 To make the recipe you need to purchase your own basic ingredients - the eggs, butter, flour and sugar, icing sugar and cupcakes cases to bake them in. My little girl had a friend round for a sleepover so by way of entertainment it seemed a good idea to try out the Cake Box with two 10 year old girls. Messy! But they were, with a little help, able to follow the recipe, and get those fairy cakes baked. The fun part of course is always the decoration. 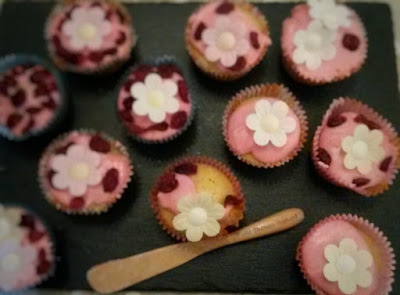 The simplest icing is icing sugar with a few teaspoons of water and a dash of red food colouring, a good squirt of the gel giving a deep pink colour most pleasing to two young girls. Spread on easily with the wooden spatula, and then a variety of 'designs' using the wafer daisies and pretty cranberries. Your own creativity is required here and no techniques are described, so you will need to wing it, developing your own skills month by month. Overall very simple to use and easy to follow. You can tell the creators absolutely love baking and want to share their knowledge. 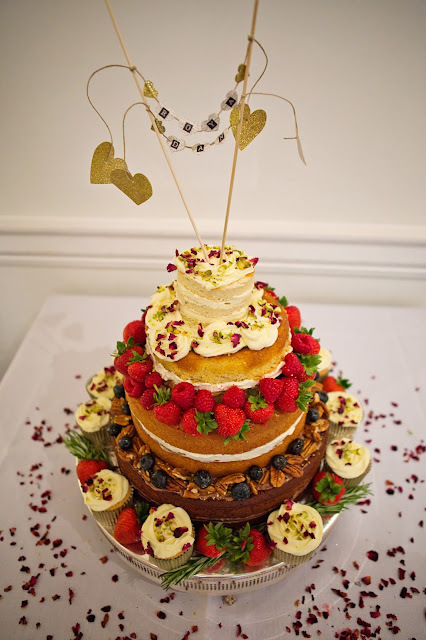 If you know very little about baking it's a great kit to start out with on your path to the GBBO! Other kits available include the Bread Box, the Patisserie Box and even a Gluten-free Box. Price ranges from £5.99/month.